The Carlisle 1074260 StorPlus™ square lid covers 12-, 18-, and 22-quart StorPlus containers made of both polyethylene and polycarbonate. It snaps securely into place and includes a space to record cooked or opened dates to comply with health codes. 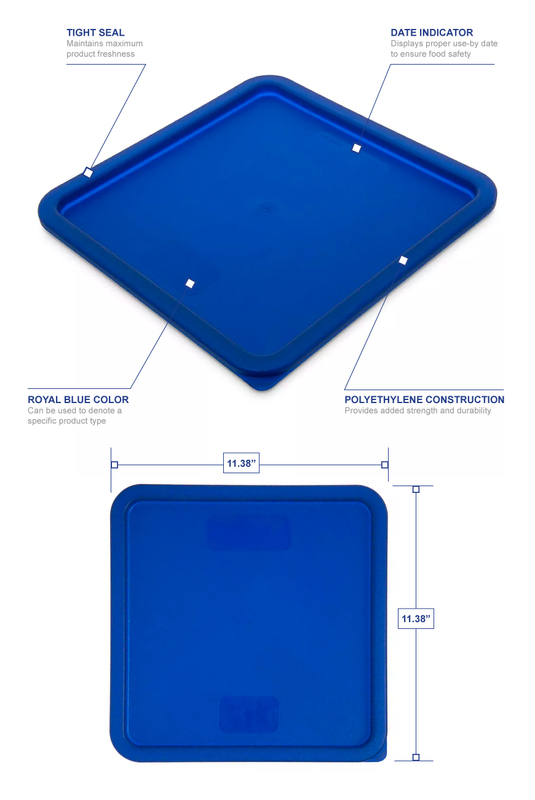 Its royal blue color can be used in color-coded applications for a specific product type, and its heavy-duty textured exterior prevents slipping. 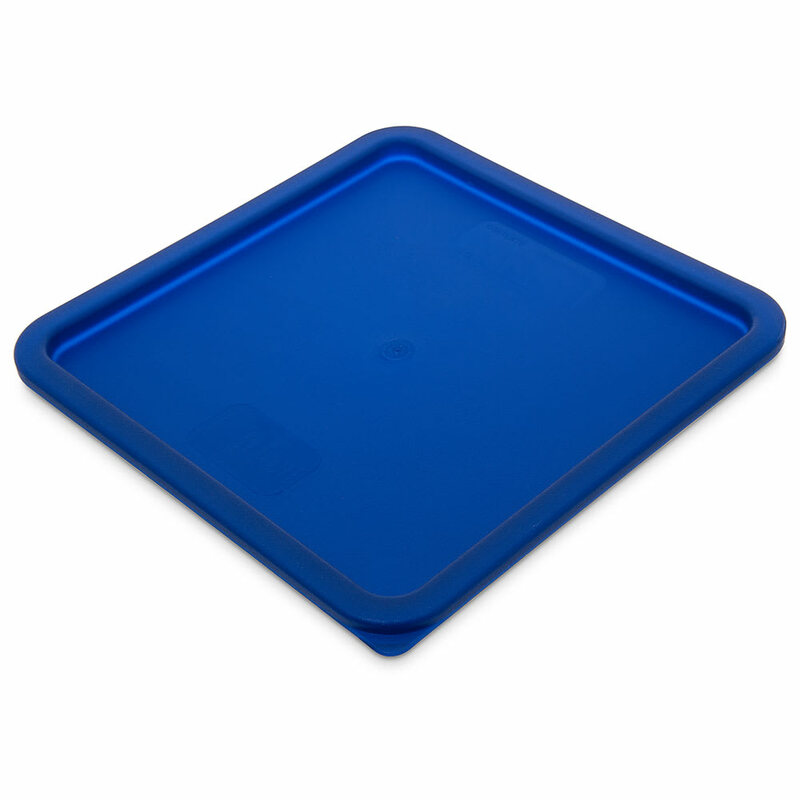 The Carlisle 1074260 StorPlus square lid is made of polyethylene, which is sturdy enough to endure frequent use, and stacks with other units. "This is the lid for 12, 18 & 22 qt Square Carlisle Stor clear containers. The container & lid combo can be used to store flour, sugar, spices an..."
"This is the lid for 12, 18 & 22 qt Square Carlisle Stor clear containers. The container & lid combo can be used to store flour, sugar, spices and any type of thicker liquid or dry item. We use the 22qt to transport 8-1 qt squirt bottles of soda or coffee flavorings. You want the clear ones (they are more expensive) because you can see the ingredients inside easily."